Pause and rest sound so good don't they? But in our busy lives, its hard to know how to make them a reality and how to capture those glimpses of grace and beauty and connection in our everyday. 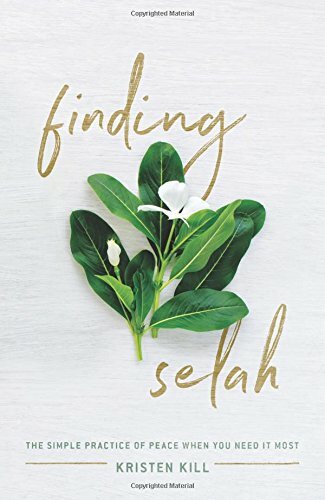 As Finding Selah makes its way into the world I wanted to ask some of my close friends about how they make rest a part of their real life, and I've recorded our conversations for you to listen to what Selah sounds like to them. This is The Selah Sound Series and I hope it encourages and equips you as you ponder the Simple Practice of Peace in your own life today. In this first episode, I spend time with one of my dearest friends, Karen Stott. Karen is an entrepreneur, a beautiful writer and creative, and founder of Pursuit Community, a dynamic group of women who are finding purpose in their vocations in creative fields, and she is the first person I call when I'm sorting through big feelings. She has such a generous heart and is so very thoughtful and intentional in all she does. I wanted to know how she makes time for real rest with her husband and three kids, and how she has determined the priorities that I know she lives by. It turns out, her family has made some big decisions to say no to the typical rhythms and activities many of us think we can't live without. I was so encouraged by her and know you will be too!